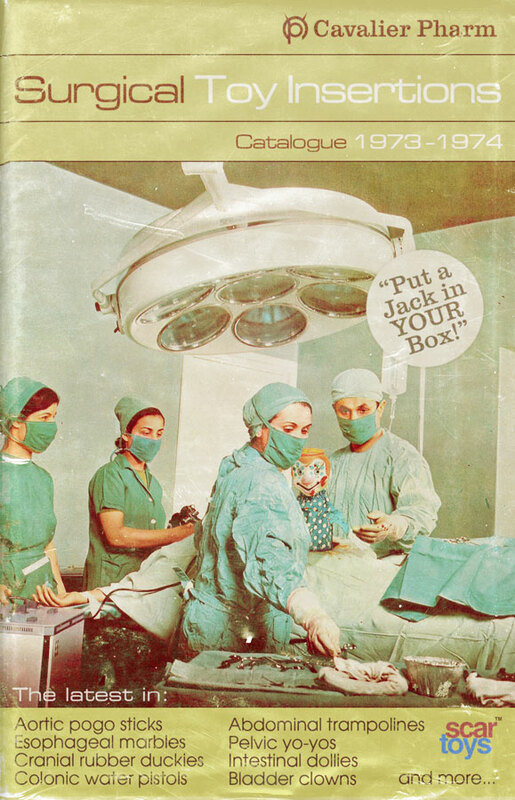 Scarfolk Council: "Surgical Toy Insertions Catalogue 1973-1974"
I really loved my surgically implanted duplo blocks. However, the small print meant that all toys had to be removed after 5 years and by then the Notional Health Service had banned anaesthetic on the grounds that it made patients lazy. I still can't pass Legoland without flashbacks.